Macworld today announced the winners of the "Macworld Best of Show Awards," representing the most exciting new hardware and software products announced at MacExpo 2003 in London. The awards were presented by Simon Jary, Editor-in-Chief of Macworld, and David Fanning, Editor of Macworld. To be eligible for Best of Show consideration, products were either making their public debut at MacExpo 2003 or were recently introduced and likely to generate excitement on the show floor. "Macworld Best of Show Awards represent a highly coveted honour within the Mac industry, and are also presented at January's Macworld Expo San Francisco," said Jary. 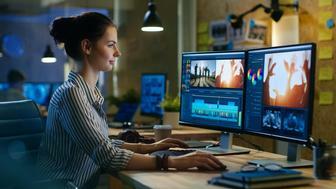 Apple's new £1,749 20-inch iMac bridges the gap between Apple's consumer and professional offerings, offering a high-quality screen that justifies the product's price tag on its own. The cross-application integration and workgroup-friendly features promises new opportunities for both publishing professionals and prosumers. At just £1,495 (excluding VAT) Epson's large-format printer offers swift output and high-quality at a price that brings oversize printing to a far wider market. The company has taken a great step forward in catering for the common needs of business users. Griffin's Technology's AM/FM radio means Mac users need never miss a radio show again, and integrates neatly with Apple's popular iPod. 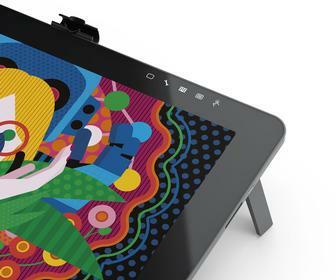 HP's ultra-thin, flexible high-resolution scanner adds a touch of class to desktop scanning at a satisfying price. Creo wins for creating an impressively simple solution to an increasingly challenging business need - file sharing becomes convenient, fast and effective in a single step. These innovative products take interface technology forward – a deceptivfely simple, yet powerful, step toward a better user experience for Mac users. A visual treat for gamers is contained within this adaptation of Pixar's hugely successful movie. The game sold out at London's MacExpo on the first day.